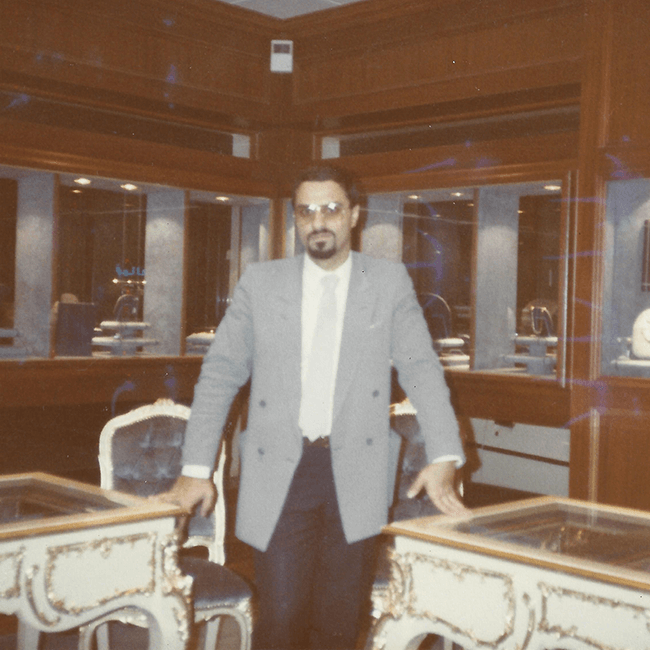 The origin of Michel’s career commences with the introduction of five jewellery stores for Al-Rajhi, owner of the largest Bank in Saudi Arabia. 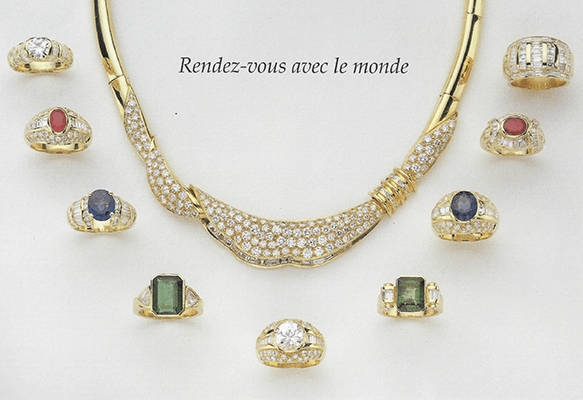 Michel is appointed to create exquisite jewellery sets for members of the Saudi royal family. 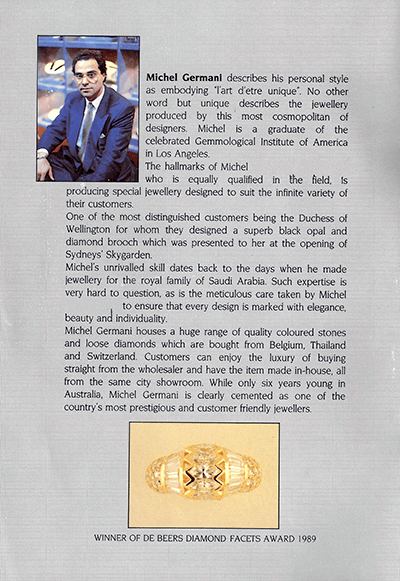 With an abundance of experience, Michel relocated to Australia and established his first shop at Centre point Sydney. 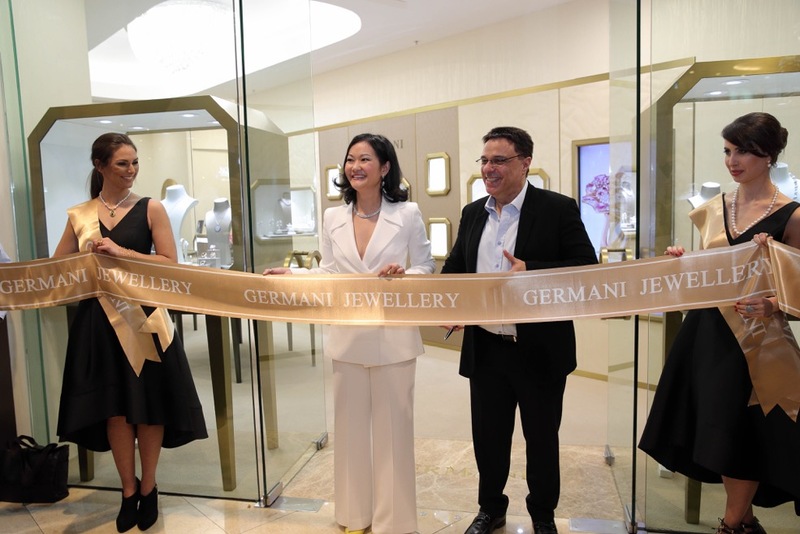 The introduction of the Germani store in Skygarden. 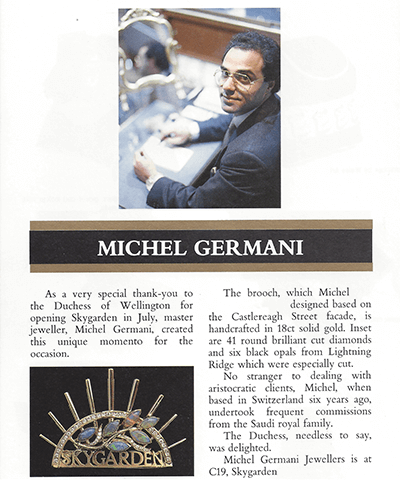 A broach is designed and crafted for the Duke and Duchess of Wellington for the grand opening of Skygarden in July 1987. 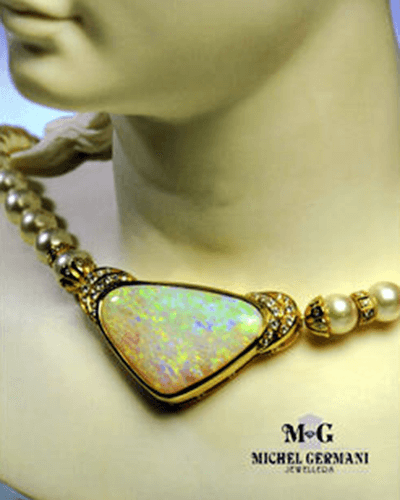 This unique vestige is handcrafted in 18ct solid gold, embellished with 41 round cut brilliant diamonds and lined with six black opals from lightning ridge whilst drawing from the Castlereagh street façade for inspiration. The Duchess, needless to say, was delighted. 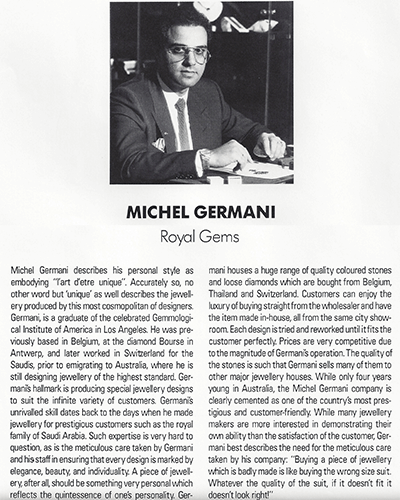 With the participation of multiple global trade fairs including, Vicenza, Basel and Tokyo Makuhari Messe; Michel was the foremost in his domain to enter the wholesale jewellery market in Italy and Europe. 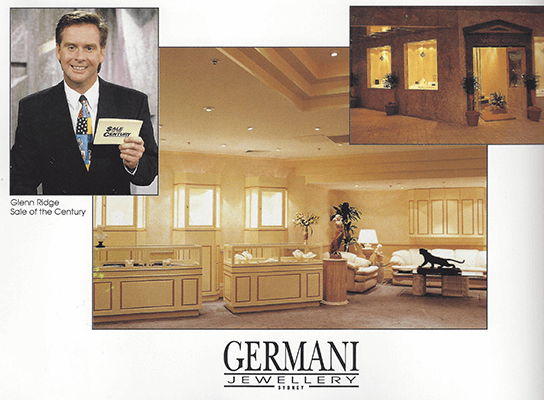 Germani became synonymous with Fine jewellery due to the exclusive sponsorship of a national TV show ‘Sale of the century’ which broadcasted for thirteen years from 1988 to 2001 and thus was established as a household name. 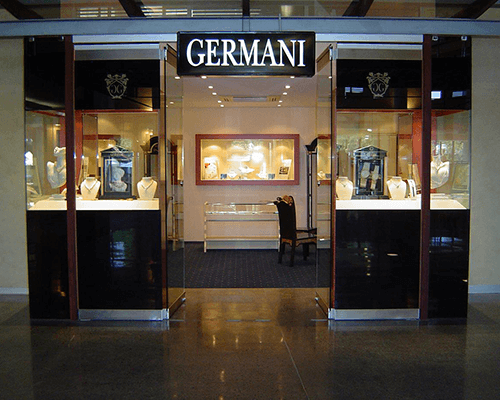 Sale of the Century GERMANI has been established as an Italian Brand in Australia since 1985; GERMANI became a house hold name for Fine Jewellery since the exclusive sponsorship of a national TV show Sale of the Century for 13years from 1988 to 2001. 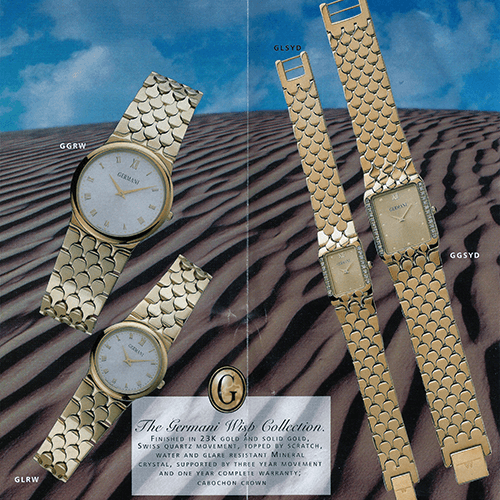 The launch of Germani watches, the wisp collection. 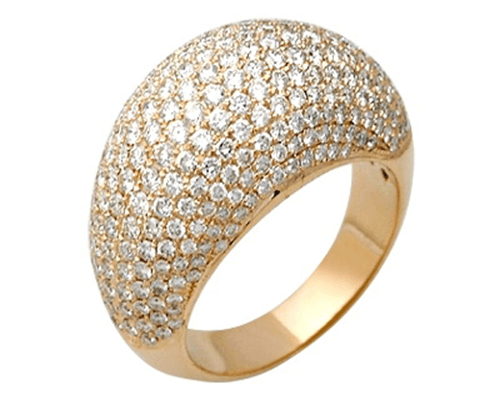 Manufactured in Switzerland with upmost care utilising the latest technology accompanied with three year movement guarantee and one year warrantee. 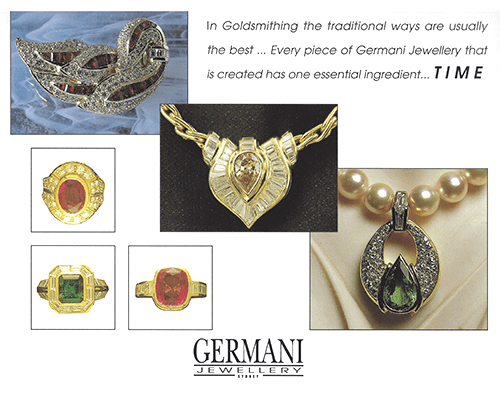 Germani watches embody timeless excellence and innovation represented in Germani. 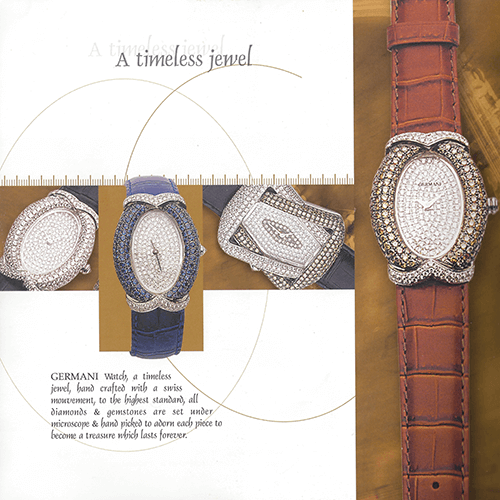 Germani watch, a classic, iconic, hand crafted with meticulous detail with Micro-set diamonds, gemstones whilst utilising Swiss ETA Movement. 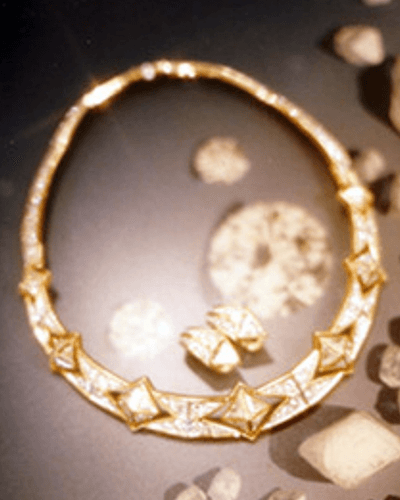 A piece that stands the test of time. 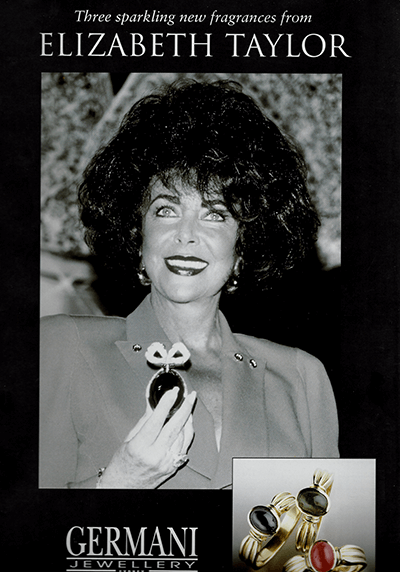 Germani had the honour of designing a jewellery collection ‘Ruby, Sapphire, emerald’ for Elizabeth Taylor to be featured in the national TV show ‘Sale of the Century’ along with her newly debuted three sparkling fragrances in 1994. 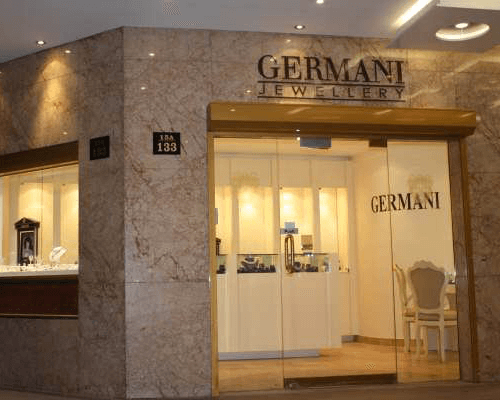 Germani specialises in the bridal market focusing on classic and timeless pieces. 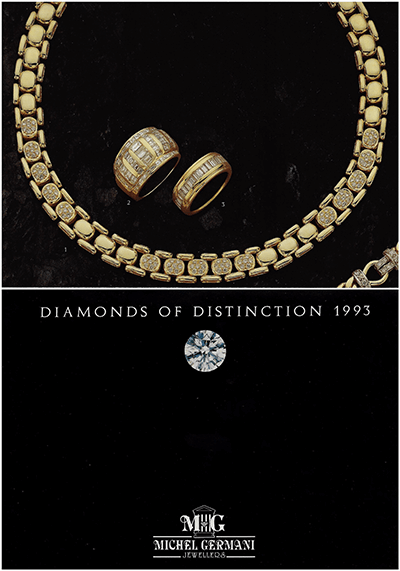 During the Victor Chang Cardiac Research institute dinner dance in Sydney, Michel was introduced to Princess Diana. 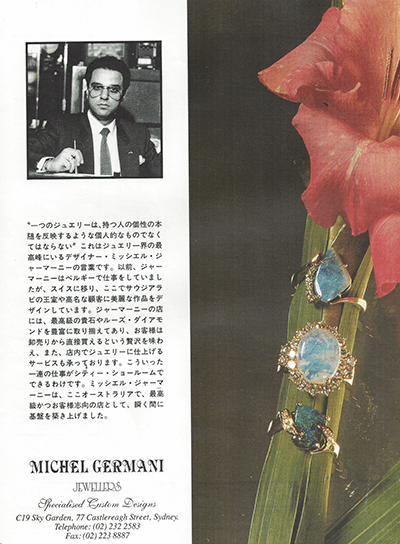 Michel had to privilege to design a pair of exclusive sapphire and diamond earrings to match her ring. 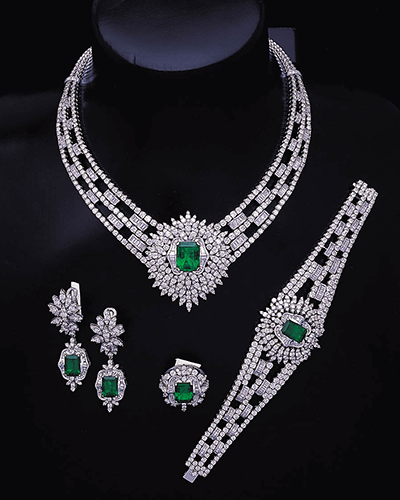 The earrings were delivered to her temporary residence, Ritz Carlton Hotel in Double Bay. 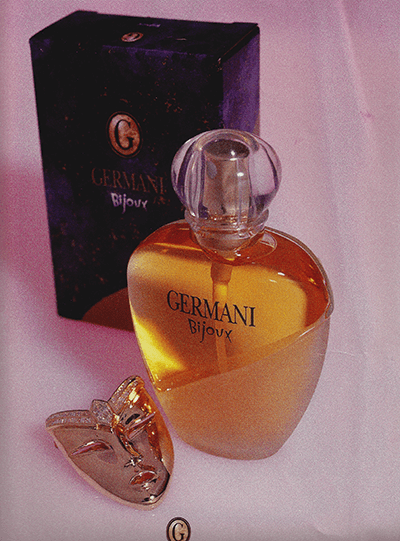 Germani’s own perfume, BIJOUX was launched. 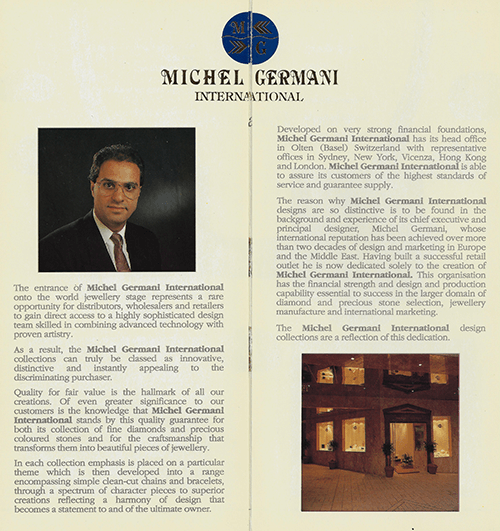 Michel enters the international market, establishing MICHEL GERMANI INTERNATIONAL onto the global jewellery market facilitating opportunities for distributers, wholesalers and retailers to gain direct access to a dedicated design team skilled in the use of emerging and innovative technologies and proven creativity. 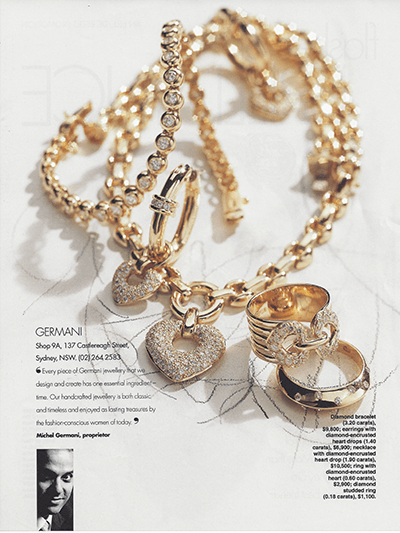 Thewholesale offices operated predominantly in Sydney, Basel, Vicenza, New York, Hong Kong and London with retail stores expanding to Denver, Beirut and Doha. 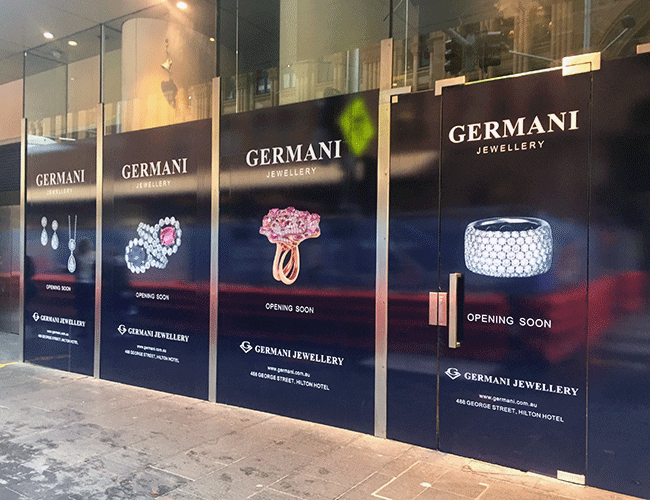 The grand opening of Germani store located in Castlereagh Street. 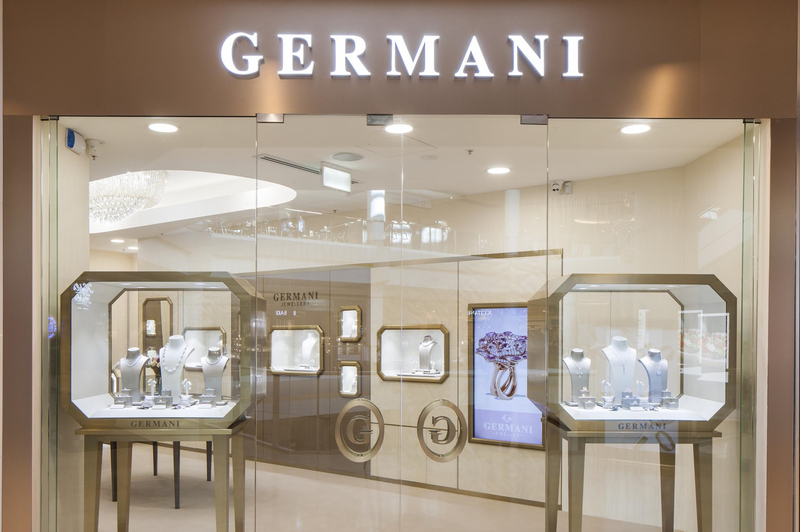 Germani targets the engagement and wedding rings market segment. 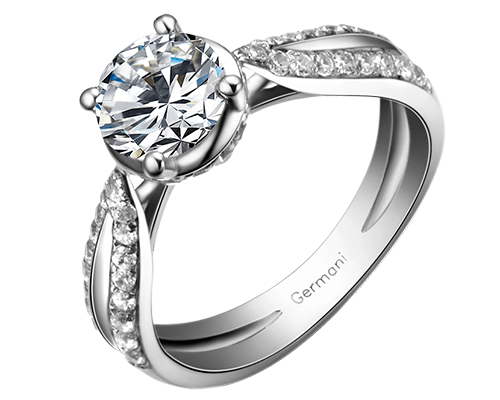 Germani’s speciality is micro setting. 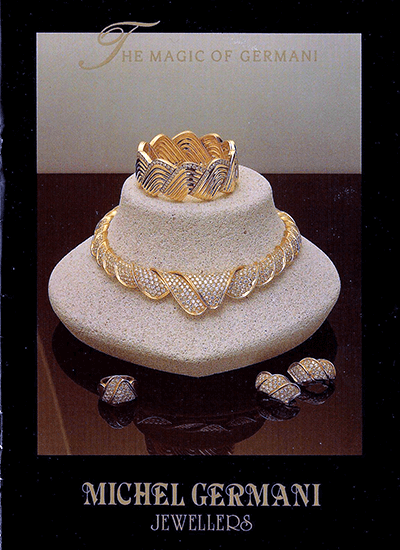 A technique where small diamonds are arranged uniformly and tightly, giving the final product of what appears to be a honeycomb or layer of diamonds with each stone held in place with small grains of metal. 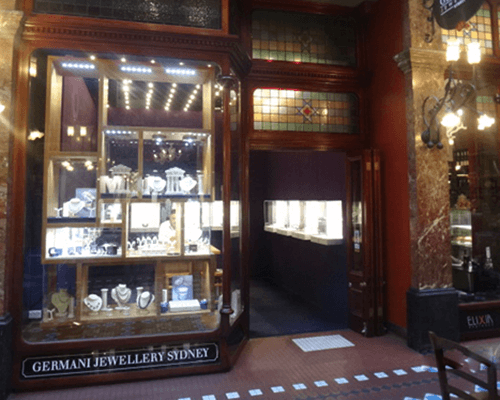 After being in Sydney CBD for more than thirty years, now decided to open its first branch in the suburbs. 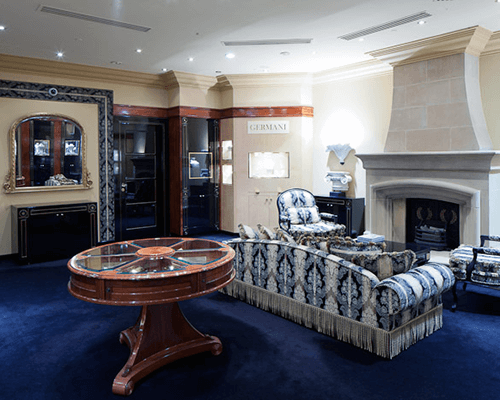 Starting its expansion with a store in Chatswood chase. 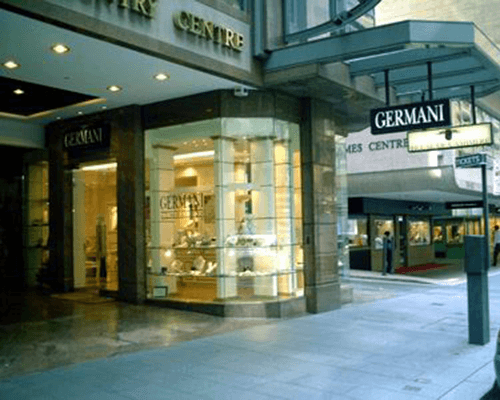 Germani is further expanding within the Sydney area with a new Flagship store opening in luxury five-star award-winning Hilton Hotel situated on George Street in Sydney’s new prime retail location, across from Queen Victoria Building.